There are times when a writer chooses not to enter the realms of commenting on the video game industry, but I guess it is those subjects they feel ever so strongly about that give them the strength to send it out into the shady abyss of the internet world. 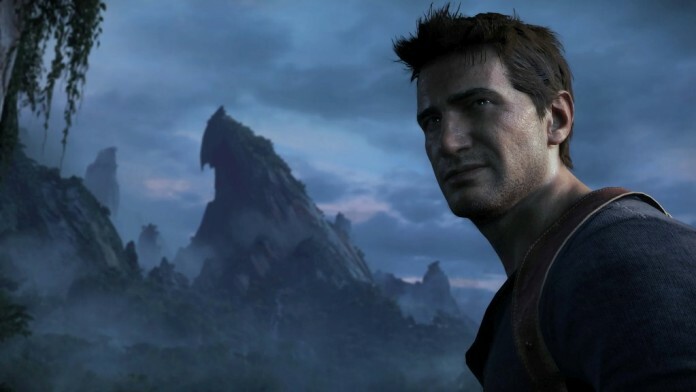 After, and let’s be honest, an overall pretty disappointing year in gaming for 2014, I feel there is no better time than the present to highlight the inspirational and positive attitude that particular studios such as ‘Naughty Dog‘ possess when creating their games and to not only say these things, but also deliver them time and time again. Don’t get me wrong, this article isn’t out there to slate the many developers/publishers that have gone ahead with devious marketing schemes such as day one DLC packages and in-game micro-transactions (not pointing any fingers, but then again, I don’t have to). I simply want to express what I as a consumer have observed over the years and highlight a standard that filled me with so much faith in the future of the industry and made me see that light at the end of the tunnel. It felt great to see this in comparison to the sheer laziness of the ‘that will do‘ attitude many companies have taken on board when releasing what is sometimes considered a mediocre sequel or overall unfinished product for what is expected. Game Informer interviewed game director Bruce Straley and creative director Neil Druckmann of Naughty Dog last month regarding a comparison to making their multi-award winning IP The Last Of Us and moving on from that to the highly anticipated Uncharted 4: A Thief’s End. When you have that feeling inside that makes you feel like, ‘I wanna play that’, that’s it. Just try to hang onto that, what was it that resonated with you? And then have faith that there’s other gamers out there that are going to want to do the same thing. Sometimes that feeling is driven by the fact that you haven’t played it in another game. It’s not like I’m trying to say, ‘what isn’t in other games that we can put in or create that’s different’. It’s as simple as, ‘Oh that sounds cool, I’ve never done that before. This statement as a whole sums up the overall attitude that all creators in the gaming industry should go forward with, I mean really, it should be on a plaque somewhere, because not only does it illustrate his passion as a game developer, but it shows that his mind set is focused on creating new and innovate concepts that have never been done before. We’re constantly questioning how to do this better. We want to create an experience that resonates with the player. We’re trying to create amazingly rich characters and an adventure that these characters can go on with pressure applied and all these things have to make sense and really click with the controller in your hand. I want to feel engaged and I don’t want to just play the same games that I’ve always played before.” He then says, “We as players, we wanna play a game that is the ultimate Uncharted that we think this thing can be, it has so much potential. That would have been the blueprint for Uncharted 2. If we were to make Uncharted 2 now it would be a different game because we’ve changed, we’ve learned so much, we’ve evolved as developers and now this is the Uncharted we feel we wanna make and the culmination of everything we’ve learned on Uncharted and The Last Of Us. The way Druckmann highlights the concept of them as developers, evolving and developing themselves from their past experiences really spoke out to me and made me really appreciate how lucky I am as a gamer to have someone like this behind the creation of the games I know and love. When a new game is created, I want somebody behind it who is striving to top whatever it was that they previously made, but throughout 2014 I felt disappointed and let down with most of the releases. There was no spark, nothing that made me feel like I was playing the most innovative game that defined the future of video games or even just a game that spoke out to me on a personal level. I think the closest thing that came even close to that in terms of the next generation’s visual capabilities was ‘Metal Gear Solid V: Ground Zeroes‘ and that was only a prologue. Sometimes it isn’t always down to the developers though, I understand that there are the pressures and time constraints that publishers or marketing departments maybe don’t consider. They might not look at the heart and soul of a game or its improvements and would rather cash in when a popular IP is at its highest peak, focusing on what it will turn over if they release it at a specific advantageous time in the year. This leaves those developer’s who have a vision and drive to better themselves from their previous work with no real time to radically improve their game from past developing experiences which ultimately, slows down the overall process for the future of discovering that true meaning and potential of ‘next generation gaming’. Another Game Informer interview with one of Naughty Dog’s lead designers, Ricky Cambier, demonstrated something that felt very captivating and genuine. There is a moment where Cambier really illustrates his enthusiasm when describing what it felt like to sit in the audience and hear people’s reactions to Uncharted 4 at the ‘Playstation Experience Gameplay Reveal‘ (2014). To me it almost felt as though the developers gain their motivation from that and also feed off of their own desire as gamers to produce something that they themselves want to play in order to produce a remarkable final product that they are satisfied with right up to completion. Games that have got into the habit of annual release windows may not realise it at the time, but they are slowly losing that excitement from consumers they once had. To some extent they work to the advantage of both the consumers and companies, more entertaining games for us, and more money for the companies. Unfortunately those titles run the risk of becoming bland overtime with no real improvement or contrasting definition from its predecessor, Ubisoft’s Assassin’s Creed series and Activision’s Call of Duty are just a few examples of this. I just don’t think that games that are on an annual release window give the developer’s enough time to vastly expand on their product. Even games that aren’t are slowly getting into the habit of it and the results have a lot to show for it. Take Ubisoft’s Far Cry 4 for example. In the past there has been a four year gap between the releases of previous Far Cry titles and they all have enormous improvements to show for it. Far Cry 4 was released just two years after Far Cry 3 and it just doesn’t leave us with much to say about it. Don’t get me wrong, it is by all means a fantastic game and probably one of 2014’s best but it shares so many similarities with Far Cry 3 that we as the player, are left far from ‘blown away’ and because of that, I have still yet to complete it myself. It didn’t give us enough time to ‘miss it’ as a franchise. I’m not ruling Naughty Dog out completely, as there were times when I felt Uncharted 3: Drake’s Deception shared a few of these similar elements that I have just mentioned. However, when I play a Naughty Dog game, I feel like I am playing a complete product. A product that feels new, that feels like a fresh experience and that isn’t dangling DLC season passes like a carrot in front of my face on the menu before I’ve even started the game and that is what separates them from recent affairs. Developers need time. The demands of the consumer should not pressure the desires of the developer. The people buying the games are still going to be there waiting for you one or two years later and in that time they sat fidgeting and waiting, a studio can deliver them something that is ten times better than it was two years ago. If the time is still constrained that shouldn’t give developers and excuse to make anything close to the endless copy/pastes we’ve seen over the last few years. We as consumers enjoy expressing our own excitement because we are genuinely very excited to play up and coming blockbuster triple A games, but the term ‘cannot wait‘ should never be taken too literally. It is that attitude and little touch of passion and drive to go that extra mile that makes such an impacting difference. That is what separates a franchise that stands the test of time to those that shoot themselves in the foot far too early in the race to survive the long run.